Americas region holds the largest market share and growth in the ATH Flame Retardant Market and is anticipated to reach $254.8 million by 2023 at a CAGR of 3.32%. However, APAC is projected to witness the highest growth during the forecast period and is expected to reach $190 million by 2023 at a CAGR of 5.46%. In recent years, structural reforms in Brazil and Mexico has attracted significant investments in manufacturing and infrastructure sectors of these countries, which expands the scope of ATH flame retardant market in this region. Building and construction industry has been the prominent end-user industry for ATH flame retardant in the Americas, mainly driven by the strong infrastructural industry and rise in the re-shoring trend. Expanding the automobile sector in Latin America and increased textile business drives the use of flame retardants in respective applications. With the growing demand for accommodating the increasing population, the government across the region has invested in building houses, using proper flame retardant materials in order to avoid increasing fire accidents. The transportation sector was a major consumer of flame retardants in the U.S., and the market for ATH Flame Retardant is poised to reach $77.18 million by 2021. • Electrical and electronics continue to be the main sector for the application of ATH flame retardants. • As the majority of the global shares are controlled by three players alone, the market is highly consolidated with a high degree of competition among the players. • The established players are foraying into new sectors, with the hope to increase the revenues generated by the flame retardant businesses. The increasing M&A activities are a direct indication for the same. • The growing concerns over the use of halogenated fire retardants have forced the companies to invest in ATH flame retardants which are safer for the environment. This requires the companies to completely change their product portfolio. • ATH flame retardants consumption in thermoplastics, such as Polyvinylchloride(PVC) and Polyethylene, is rapidly increasing compared to any other flame retardants. • An increased use of plastics in various sectors such as electrical, electronic and construction industries will drive the ATH flame retardant market. • Building and construction industry has been the prominent end-user industry for ATH flame retardants in the Americas, mainly driven by the strong infrastructural industry and rise in the re-shoring trend. Expanding the automobile sector in Latin America and increased textile business drives the use of flame retardants in respective applications. • With the growing demand for accommodating the increasing population, the government across the region has invested in building houses using proper flame retardant materials in order to avoid increasing fire accidents. • Expansion of transportation infrastructure in the urban areas drives the use of ATH flame retardants in countries like Mexico. • ATH flame retardants market in Brazil is mostly driven by automobile and textile industries. Global automotive leaders such as Fiat, General Motors, Volkswagen, Audi, Renault, and Ford have their manufacturing plants in Brazil. Government initiatives for FDI and growing automotive consumption are the drivers for the Brazilian dispensing market. • Countries like Russia and Turkey are actively partnering with private companies to invest in the development of infrastructure which drives the use of high-quality ATH Flame Retardants. • In addition, growing emphasis on renewable energy facilities also drives the use of ATH Flame Retardants. EU’s economy is largely influenced by the dynamics of developed countries of Western Europe. However, the scenario is changing with increasing investments in Eastern Europe. • The automotive consumption in Spain, Poland, and Finland is soaring and is expected to expand at a healthy rate in the coming years, driving the market growth of ATH flame retardant. • The escalating number of construction contracts and sites in countries such as Vietnam, India, China, Indonesia, and Malaysia are driving the market for ATH flame retardants. • Growth in working-age population is also a key driver in ROW. 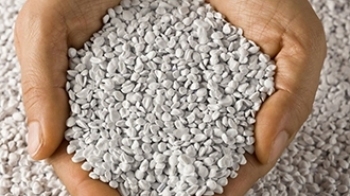 • Huber Engineering materials and Israel Chemicals Ltd. are the other major players in the market. They have also been involved in mergers and acquisitions in the past two years. Huber has acquired Albemarle’s Martinswerk business in Germany. This strengthens the company’s financial position in Europe by expanding its production capacity. • The only company holding patents is Dow Global Technologies, LLC. Other patents are held by individuals and institutions.